Pat Riley was always fond of saying that a playoff series doesn’t begin in earnest until the road team wins a game; his rationale is that home court is a huge advantage in the NBA. Riley probably liked the action this weekend in the NBA playoffs; four road teams won. The first round of the playoffs, especially the initial games, is usually a formality. Not this time. We enter the first weekdays of the playoffs with much in doubt. The weekend of upsets began with the first game of the day on Saturday when the Chicago Bulls knocked off the defending champion Boston Celtics 105-103 in overtime in Boston. As you’ve probably heard, the Celtics all-star forward Kevin Garnett is out for a while, and that will impact this series more than I initially anticipated. Although the Celts boasted a gaudy .720 winning percentage without KG, their point differential was a much more pedestrian 3.8 margin. That’s crucial to remember as the Bulls were a far better team than their .500 record in the regular season indicates after they acquired swingman John Salmons and moved him into starting lineup. From that point, Chicago went 14-7 and outscored their opponents by a 2.8 margin. A team with a margin of 3.8 point differential should beat a team with a 2.8 differential, but it’s far less of a certainty. The other factor is that the Bulls are very young and might experience growth spurts from game to game. On the other hand, in honor of Earth Day on Wednesday, let’s look at sustainability from Game 1 of this series. 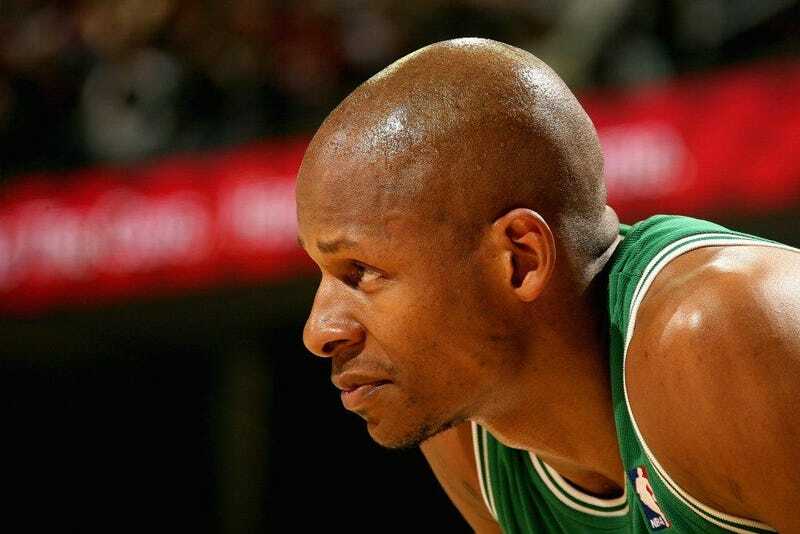 The Celtics were hurt by their other all-stars, Paul Pierce and Ray Allen, who combined to shoot 9-23 from the field. That’s simply not likely to happen again. The Bulls were led by rookie point guard Derrick Rose who scored 36 points, shooting 12-19 or 63 percent, and third-year power forward Tyrus Thomas, who shot 8-12, or 66 percent. It’s possible that Rose and Thomas are en route to becoming perennial all-stars, but it’s more likely that their shooting percentages will regress to something like their regular-season averages, 47.5 percent for Rose and 45.1 percent for Thomas. But the Celts had people playing over their heads, too, most notably point guard Rajon Rondo. The bottom line is that a series that seemed like an easy pick is now more than a little complicated. The second upset of the day was easier to call; the Dallas Mavericks beat the San Antonio Spurs 105-97. This series figures to be close as Dallas finished the season strong, and San Antonio is missing a key player in swingman Manu Ginobili. Without Ginobili, the Spurs’ bench was impotent. In 76 minutes, four players who shall remain nameless in the interest of good taste combined for a meager 14 points on 5-14 shooting. In general, the bench is less important in the playoffs as starters play more minutes, but that level of production will send the Spurs on vacation early. By contrast, the Dallas reserves, principally Jason Terry, Brandon Bass and José Juan Brea played 81 minutes and contributed 39 points on 17-31 shooting. That 25-point margin isn’t sustainable, but it doesn’t have to be; a 12-14 point margin will put Dallas in the second round. One sustainability factor favors the Spurs; they missed a lot of easy shots, and they have fallen behind one-love in past first rounds. However, in those series, they had Ginobili. His absence may swing the balance in this battle of Texas powerhouses. Saturday’s third upset, the Houston Rockets’ 108-81 thrashing of the Portland Trail Blazers, was more a surprise for the margin than the victor. Playoff-caliber teams don’t generally lose by 27 points at home, not ever, not even if they’re missing two starters and playing their fourth game in five nights. Portland and Houston both finished with 54-28 records, and they are similar to each other—big and slow paced. In the past, the Rockets have struggled in the playoffs against smaller, faster teams. But Houston’s center, the 7-foot, 6-inch, 310-pound Yao Ming, showed what he could do against players his own size and speed, shooting 9-9 and scoring 24 points. Portland has a deep athletic lineup; I’ve often wondered why they don’t play faster sometimes. They will probably ponder the same question, but in a series between two evenly matched foes, Houston’s rout is likely what punches their ticket to the second round of the playoffs. Sustainability is the entire story on the weekend’s biggest upset, the Philadelphia 76ers dramatic 100-98 win over the Orlando Magic. The Sixers came into the postseason after finishing dead-last in accuracy behind the arc, 32 percent while the Magic finished among the leaders in long-distance marksmanship at 38 percent. In Game 1, Philly shot 58.7 percent from three-point territory while the Magic bricked them at a 27.8 percent. The 76ers’ dramatic fourth quarter rally should leave Magic fans stunned, but not worried for the long term. Of the four upset victims this weekend, the Magic stand the best chance of winning their series in short order.